Below you can view all the townhouses for sale in the Palomino Park subdivision located in Highlands Ranch Colorado. Listings in Palomino Park are updated daily from data we receive from the Denver multiple listing service. To learn more about any of these townhouses or to receive custom notifications when a new property is listed for sale in Palomino Park, give us a call at 720-606-6881. Be sure to check out the Virtual Tour! ! MLS#5696121. RE/MAX ALLIANCE. Take long walks, work out in the state of the art fitness facility, swim, play tennis, pickleball and more. Must see! MLS#9961366. HomeSmart Cherry Creek. Silver Mesa also has a separate community pool, hot tub and community center. MLS#2762110. HomeSmart Cherry Creek Properties. Corian counter tops, new appliances, beautiful Italian floor tile through out main living areas, under cabinet lighting in kitchen, 5 ceiling fans, fireplace is 3-sided and energy efficient, red oak cabinets, spacious bedrooms and a master suite, ( all bedrooms just freshly painted and carpeted) bay window and 90% of windows are Pella, Low E. 2 Pella doors with built in shades, R60 insulation in ceiling, tile in bathrooms and laundry room, huge laundry room has extra storage and the washer dryer stay, walk in closets, open and bright, Flex space right outside the kitchen door next to patio (could be used as a study) The over-sized garage has tons of storage, two spacious patios and the list goes on!!! Spa hot tub just outside. MLS#3526122. Relax Real Estate Pros. HOA amenities: private health club, spa, workout facility, pool bar/restaurant, village banquet room, 2 pools, 2 clubhouses, indoor basketball, racquetball, tennis, golfing, pickle ball, volleyball, miles of paths & much more! MLS#9742521. Relax Real Estate Pros. Buyers can save over $6,000 with KW ZeroPlus Mortgage! MLS#4106877. Keller Williams Executives. This is the largest ranch style unit in the community and is rarely for sale. MLS#7226551. 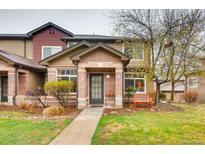 Kentwood Real Estate Cherry Creek. 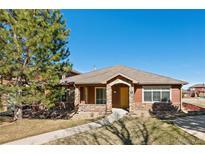 Close to Light Rail, C-470, E-470 & I-25, Everything you need within a few miles! ! MLS#3588751. MB Vibrant Real Estate, Inc. Excellent Condition. Incredible Amenities at Palomino Park! ! MLS#2170450. Brokers Guild-Cherry Creek Ltd.. Amenities include; community pools, tennis courts, fitness center, restaurant, hot tub, large park and so much more!! ! MLS#9196311. MB THE REAL ESTATE FIRM I. There are many exercise, classes, a putting green and social activities available. MLS#8087696. Steck Real Estate. Enjoy all the Palomino Park amenities exclusive to this community – for additional information, go to www.palominoparkresort.com. MLS#6479061. LIV Sotheby's International Realty. You’ll never be bored!Call now to schedule your showing! MLS#1590210. TRELORA.